No refunds after May 15, 2019. Price includes material, breaks and lunch. The workshop takes place in room D1129 (located just inside the entrance). In this workshop, we will review current guidelines for cognitive rehabilitation of children and adults with ABI. We will briefly review common neuropsychological effects of different types of ABI, particularly effects on learning and memory, executive functions, and social cognition; and discuss how these translate into communication. We then will discuss practical, evidence-informed intervention methods designed to maximize communication performance in everyday life, including a recently developed approach to organizing therapy into targets and “ingredients”. We will end the day discussing adolescents, perhaps the most challenging population of individuals with ABI. Summarize current evidence of neuropsychological impairments in individuals with acquired brain injury (ABI), and evidence-based rehabilitation practices for this population. Critique their own therapy practice to determine if they are using appropriate instructional methods. Develop a framework for intervention and apply this framework to clinical examples. Describe main themes of adolescent development and how these apply to intervention. 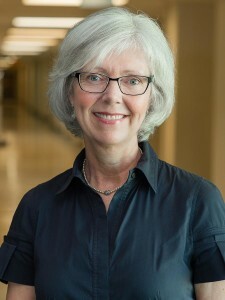 Dr. Lyn S. Turkstra is a Professor at McMaster University, Assistant Dean for Speech-Language Pathology, and faculty in the McMaster Neuroscience Graduate Program. Dr. Turkstra has published extensively on cognitive and communication function after TBI and is co-author of the 2011 text, Optimizing Cognitive Rehabilitation, with Dr. McKay Sohlberg. Dr. Turkstra was a member of the INCOG practice guidelines committee for TBI rehabilitation, funded by the Ontario Neurotrauma Foundation and Monash University, and is a consultant to the Veterans Health System and Department of Defense for clinical practice guidelines in mild TBI. She lectures nationally and internationally on development of evidence-informed models of cognitive rehabilitation for adolescents and adults with ABI in acute, sub-acute, and long-term care settings. Hart, T., Dijkers, M.P., Whyte, J., Turkstra, L.S., et al. (2019). A Theory-Driven System for the Specification of Rehabilitation Treatments. Arch Phys Med Rehabil 100:172-80. Mutlu, B., Duff, M. & Turkstra, L. (2019) Social-cue perception and mentalizing ability following traumatic brain injury: A human-robot interaction study, Brain Inj 33:1, 23-31. Turkstra, L.S., Norman, R.S., Mutlu B, Duff, M.C. (2018). Impaired theory of mind in adults with traumatic brain injury: A replication and extension of findings. Neuropsychologia 111:117-122.